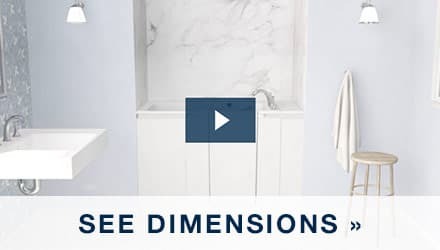 Explore our videos to learn more about KOHLER® Walk-In Bath features, installation details and more. With features that offer both safety and comfort, the KOHLER® Walk-In Bath was perfectly designed for independent bathing. Learn all the details of the walk-in bath, from the length of the bath to the depth of the seat. 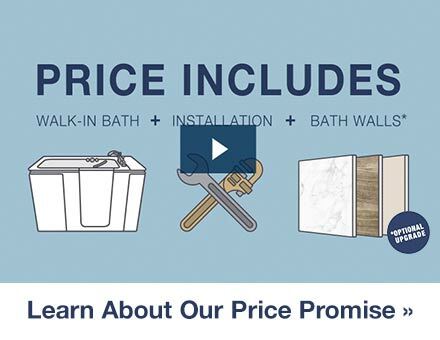 How much does a walk-in bath cost? There are several factors that we consider when creating your custom quote. 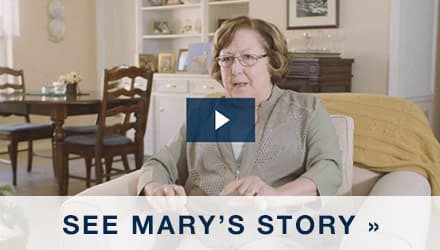 When back pain made bathing difficult, Mary searched for a safer solution. She found safety and comfort in the KOHLER® Walk-In Bath. The walk-in bath is designed to fit in the footprint of your old tub. It was also engineered to be installed in as little as one day. 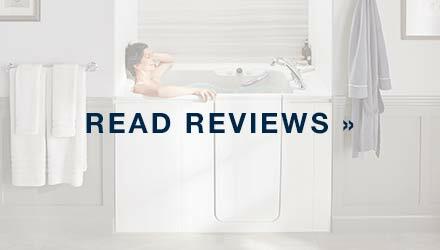 Learn how whirlpool and BubbleMassage™ jets, Bask® heated surfaces and fast drain technology deliver a spa-like bathing experience. Surrounding handrails, an ultra-low step-in and easy-close door are just the beginning.